Spend $30, Save $5 on Select Bathroom Necessities. Discount Applied in Cart. I like this, It seems sturdy. Exactly what I was searching for. Hard to find one so long. I needed a tub mat that was a little large. I am disabled, so I looked this up at Miles Kimball. They definitely had one at a good price. So I ordered it. It came pretty fast. Put it in the bathtub. It's much easier on the feet than our last one was. I like this much better. I know where I will purchase this from now on. Thank You Miles Kimball! Yes, I plan on buying again! 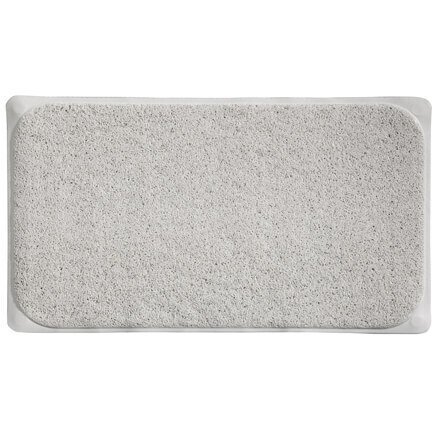 I replaced the TUB MAT, this one is softer on the feet making a shower more relaxing. 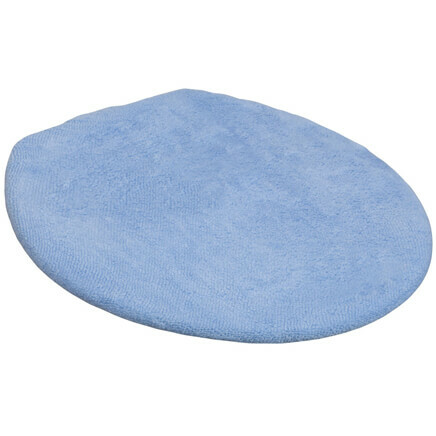 Excellent quality mat for the bathtub ?? just what I needed! This bathmat is the perfect length. It takes up the entire tub which I really like. This way, I don't have to worry about slipping anywhere in the tub. Great tub mat, exceeded my expectations, great buy. Everything good about tub mat. This mat is to me just as it says! The only thing is the smell, but if you wash it the smell slowly goes away! It fit's my tub perfectly! Thanks a lot! Must for seniors and grandkids. 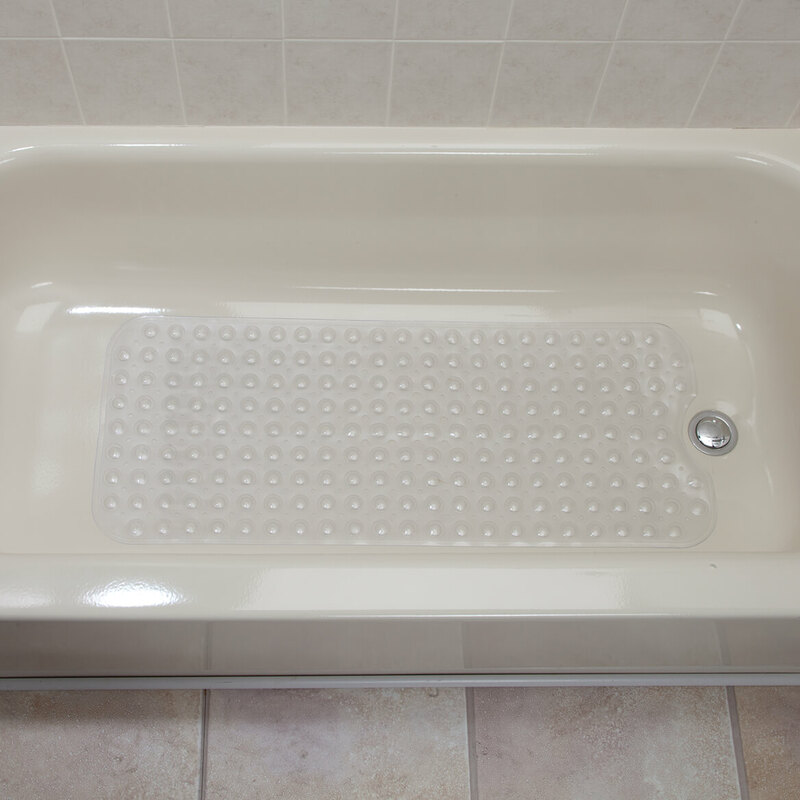 It practically covers the entire tub bottom and I don't worry about grandkids slipping and falling. Haven't used it enough to say if it resists mold. price was right, makes tub look new. 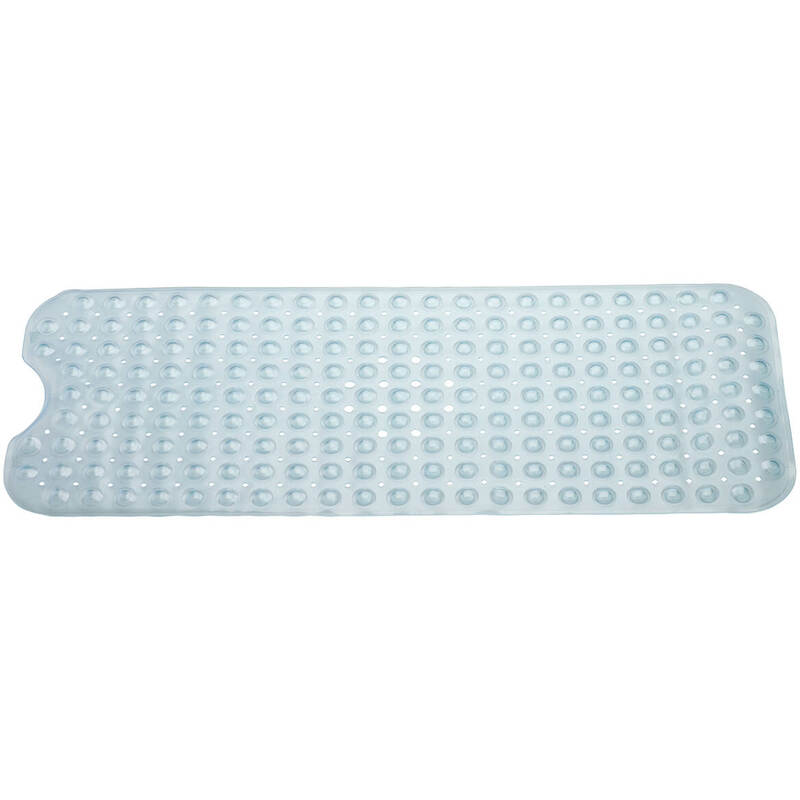 Although this mat seems to be well made, the material it's made from is extremely hard with "bumps" sticking "up" from the mat which are very, very hard and uncomfortable. I have this tub mat. It suction’s securely to tub and the design feels great on the bottom of my feet. I am giving this one to a family member who asked where I bought the bath mat. I am replacing one I have had for many years. We are seniors and like the security of this mat. Size, washable, color, seams perfect for me. I like that it will not mold. I have an old high tub, and this mat will keep me from falling. I love the color..and because it is long. reviewers said it stayed put. Also wanted a long one that covers the tub. This size tub mat is exactly what I needed. No more running around to stores to find the exact size. Just measure, click and order! I get worried about slipping my bathtub as I age. This mat is longer than average. Ordered it before. Nice product. Keeps you from slipping in the tub shower. 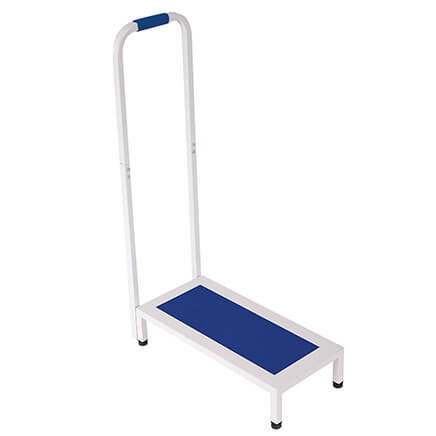 Also, I like it because it does not hurt my feet when standing on it. It was smooth on top. Years ago I bought from someone else and it was like standing on rocks. Looks sturdy and should stay in place without slipping in tub. Miles Kimball always has quality items and tub mats at local stores have been lacking in quality = don't last long. It was what I wanted. We gave two as gifts and the receiver really likes them! :-) So, since we needed to replace our tub mat in our master bathroom, we decided to buy the same kind for ourselves. Need a larger size to prevent falls due to slipping in tub. I already have a green one just like this, and it works great. I need a blue one for my other bathroom. did not want to slip in the shower and this is the longest non-rubber mat I could find. The blue color is navy, to as pictured, but I postage to send it back far outweighed the color difference, so I kept it. love it. buying for second bath. can't find these in my area. Will this mat stick to fiberglass tub with a textured floor? BEST ANSWER: Yes, it will. 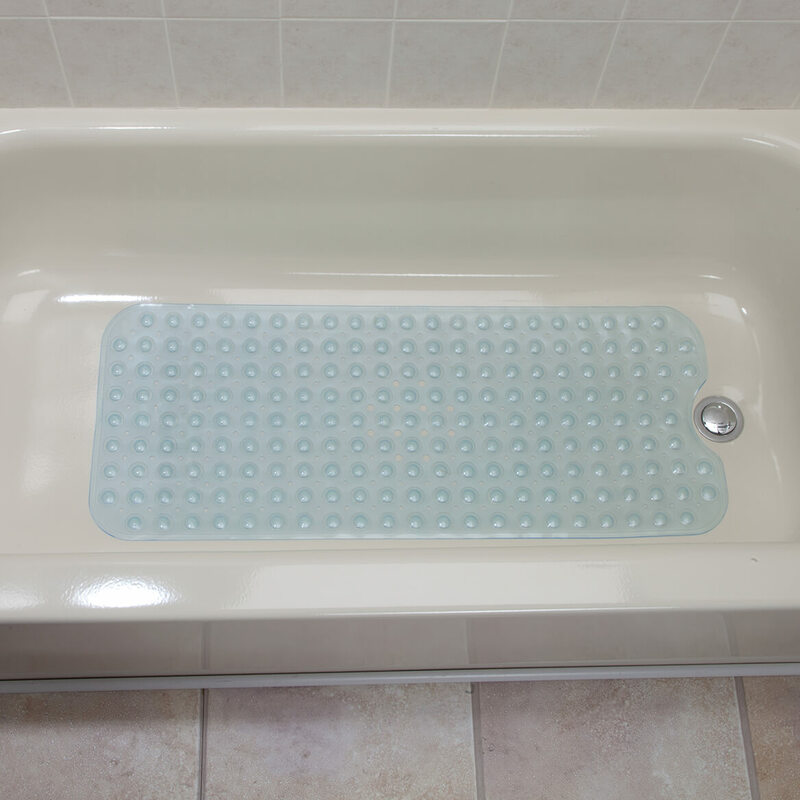 I have a fiberglass tub with a textured floor and I just wet the bottom of the tub and press the mat down. This is the second one of these mats that I've owned. No problem at all. DOES IT REALLY GRIP DOWN AND STICK TO THE TUB? BEST ANSWER: Yes, it does! These have been the best tub mats I have found. I have a dark blue and a green one which match my two shower curtains. Just be sure when you lift the mat up to clear the water underneath at the end of a shower to stand on the mat again to get it stuck. Otherwise when you shower again, the rug might slip out from under you! 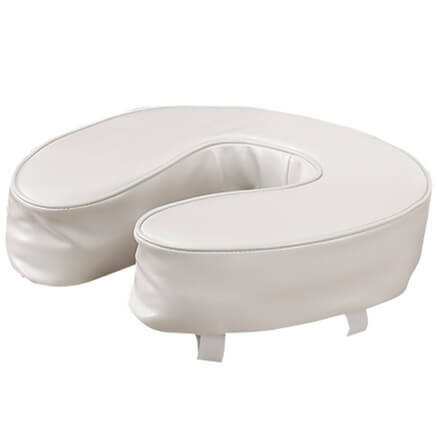 Decorative toilet lid covers add cushioning and warmth… elasticized edge keeps it in place. 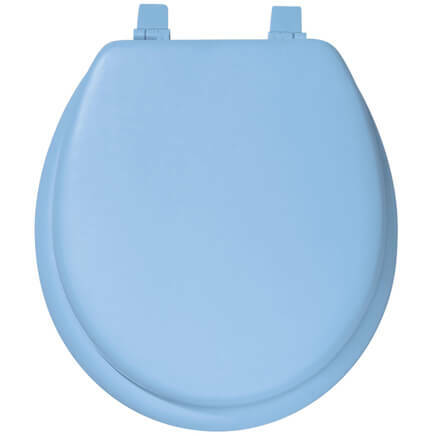 Our bathroom toilet lid covers fit standard round and oval seats. Machine washable, 90% acrylic, 10% polyester. Imported.